One month ago, home-sharing service Airbnb began rolling out a program called Verified ID, which requires some U.S. users (and eventually people in other parts of the world) to go through a verification process that uses social media logins — either Facebook or LinkedIn — and offline proof of ID, like a scanned license or passport. But what if you don’t use Facebook or LinkedIn? This was the problem facing tech writer extraordinaire — and alumnus fellow at Harvard’s Berkman Center for Internet and Society — Doc Searls, when he and his wife recently tried to use Airbnb to book a room in Rome. When Searls’ wife hit the new verification wall, she explained to the company that she doesn’t have accounts on either Facebook or LinkedIn. 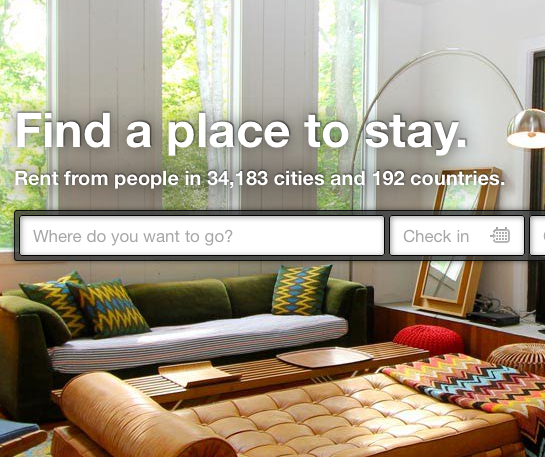 The answer is simple, says Airbnb. The notion that a 30-second video would be of any value to actually verifying a user’s identity — along with the fact that this video would then become part of some semi-public profile — was a little much for Searls and his wife. The couple’s refusal to shoot and post this video just to use a service they had come to love over the years meant that their reservation would be canceled. And so Searls’ wife wrote to Airbnb, offering to verify her identity through personal cloud providers like Personal.com, Virtrue, OwnYourInfo, or a trust network like Respect Network or Qiy. “Airbnb is a platform for connecting individuals interested in having unique and personalized experiences. This is how Airbnb differs from the norm, as not everyone on Airbnb operates their business outside of Airbnb the way a normal bed and breakfast would. Please consider that you will be staying in the home or residence of another individual. At Airbnb we’re constantly striving to improve the level of trust between our users to instill confidence in the transactions between our users. Our verification process was designed to help improve that level of trust and allow users to fully enjoy their experience on Airbnb. “At Airbnb we’re constantly striving to improve the level of trust between our users to instill confidence in the transactions between our users. Our verification process was designed to help improve that level of trust and allow users to fully enjoy their experience on Airbnb. “Recent positive reviews do count towards verifying your Online identity but the reviews you received did not satisfy our system’s verification requirements. Unfortunately, if you don’t have a Facebook or LinkedIn account, the video profile is the only alternative available at this point. We offer several alternatives in hopes that one will work for you, but we understand that these situations do arise. That’s why we offer you the opportunity to verify your account by recording a 30 second video in which you can introduce yourself to the Airbnb community. He contends that Airbnb’s new system hurts and alienates both the host and guest by turning away customers who are uncomfortable with these new requirements, and by not giving Airbnb hosts the option of accepting unverified guests.